The 2017 holiday season is here. It’s a busy time for all. 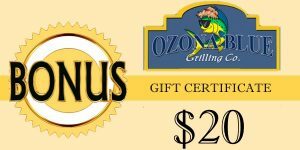 Celebrate with family and friends and give them an Ozona Blue Grilling Co. gift card. 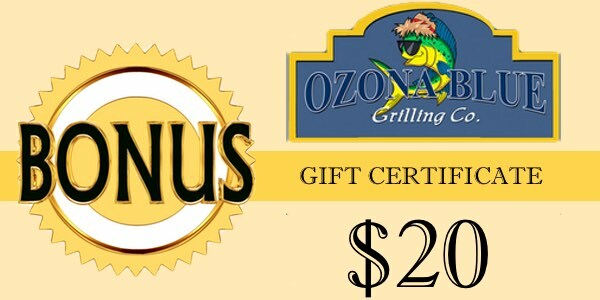 Start by giving $100 and receive a $20 gift certificate to Ozona for yourself. Don’t stop there! The more you give, the more you get! Every $100 spent is a $20 Bonus For You! Ozona Blue Grilling Co. is located in Pinellas County between Clearwater and Tarpon Springs, Florida and just 5 miles north of Clearwater Beach.